My husband and I saw Hacksaw Ridge, based on a true story, and both of us were tremendously moved, for similar although markedly different reasons. We were emotionally affected in spite of this being a Mel Gibson film, and realized going in that if it was made by Gibson, it would be excessively gory and technically focused on making the most of blood and guts. Knowing how much I hated Gibson’s Braveheart, I avoided seeing most of the worst parts in Hacksaw Ridge by turning my head and lowering my eyes. But wars are that way and that was the especially disturbing part: knowing that in parts of the world people were fighting and dying as we sat in the theater. My husband’s father, Hershal Davis, in uniform. Stuart’s father was stabbed three times in his leg during World War II in the Pacific, his life likely saved by playing dead under someone’s corpse in a foxhole, (a similar scene graphically portrayed in Hacksaw Ridge). Stuart’s oldest brother’s story became all too real as well: he served as a medic during the Vietnam War and was wounded a bunker blow up. The main character of Hacksaw Ridge, Desmond Doss, (Andrew Garfield) is a medic (from down the road from us in Lynchburg, Va., no less) who was a Seventh Day Adventist conscientious objector who was willing to serve in the Army, but not take up a gun. And that was the rub. My Dad in a Civilian Public Service Camp during WW II. My father was also a C.O. during World War II who wanted to be a medic, but was told he would not be allowed to give aid to the enemy, so that was ruled out by his conscience. 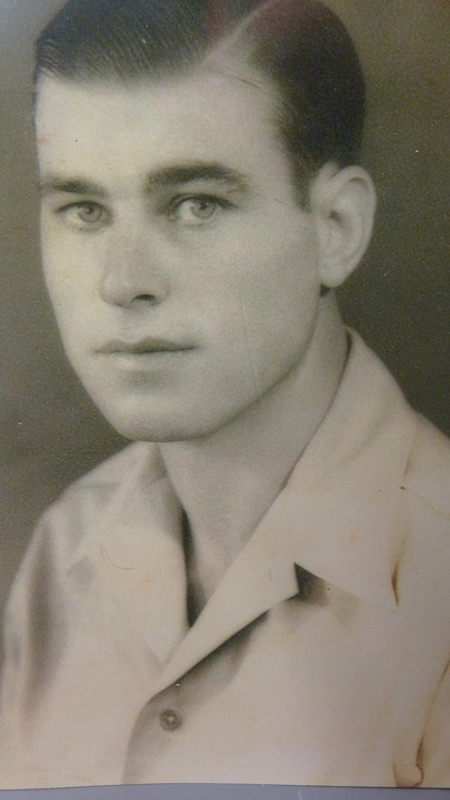 I do not claim my father did anything so courageous as the real life Doss who risked his own life again and again to rescue some 75 comrades in arms (and some Japanese) from a peril-filled battle at the top of a ridge overlooking the Pacific. I remember my father talking about the “Seventh Day Adventist boys” he got to know through his assignments here in the U.S.—young men he appreciated knowing very much, which widened his view of the world and appreciation for those of other religious groups. I found it interesting that this Seventh Day Adventist combat-decorated war hero and my father died just days apart in March of 2006. So they were colleagues in conscience. In this movie, my husband vicariously experienced a little of the horrors his father and brother went through in different wars. I too experienced a little of what my father’s colleagues went through in ridicule and derision for their beliefs. I was glad Gibson did not cheapen his film with an abundance of profanity, so common these days: the action and awfulness portrayed spoke louder than profanity anyway. That Gibson spends almost half the film (my rough estimate) on the build up to the horrific battle is to his credit. The well-developed interplay between Doss, his unit, and their commanding officers (who must be totally won over to understanding why someone in a combat unit does not feel he can carry a gun) is what saves the film from feeling gratuitous in its violence. In spite of the well-known callous, crude and even vicious officers that are a given in military basic training, each of the officers comes around to seeing how true and deep Doss’s convictions go. One critic at Common Sense Media says Doss does a great job of “portraying a believable spiritual life” without coming off as touched in the head (which would of course booted him quickly from the army). The film also builds in some exploration of abuse at the hands of his father, which both disgusts and dismays us, even while understanding his father suffered what today we’d call PTSD. That the film garnered a 10-minute standing ovation when first released at a film festival in Venice, with actors who for the most part are played by Australians (with pretty decent American accents), makes the film feel less like a gung-ho old war film and more a pretty decent study of what conscientious objectors went through during The Great War. That this true life C.O. lived out his convictions with such amazing bravery, stamina and courage should touch the heart of any honorable person who sees the movie. 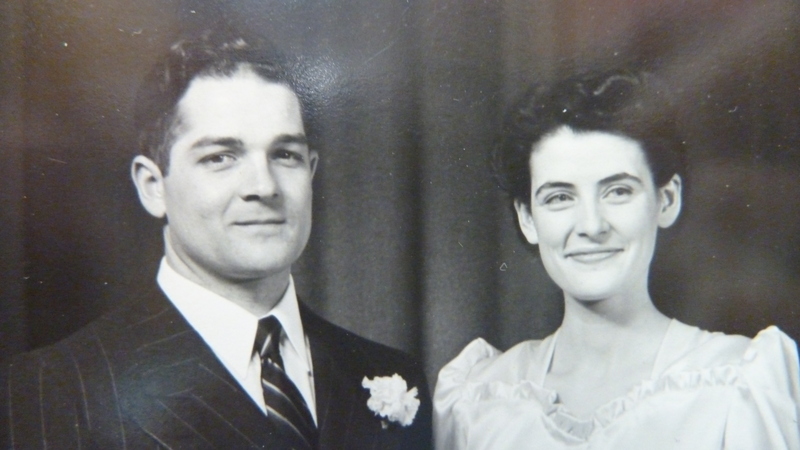 Vernon and Bertha Miller on their wedding day, Jan. 1946. I found it fascinating that Desmond Doss’s mother’s name was also Bertha. 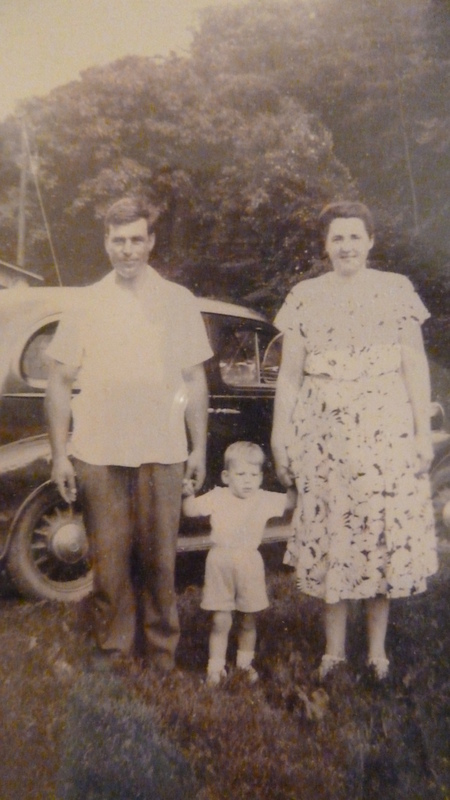 Hershal, Estella, and oldest son Richard, circa 1948 post WW II. The film also brings home the reality of how ridiculed conscientious objectors were in general society in a time when Hitler gave the world such a morally right cause to combat. Comments? Your thoughts on the movie if you’ve seen it, or why or why not you do or don’t plan to see it. How did your father, grandfather, or others you know (women?) respond to calls for military service? Many of my relatives did have careers or serve in the military. Truly I hope this helps us all see that men and women of good Christian conscience are sometimes called differently, depending on how they/we were brought up. 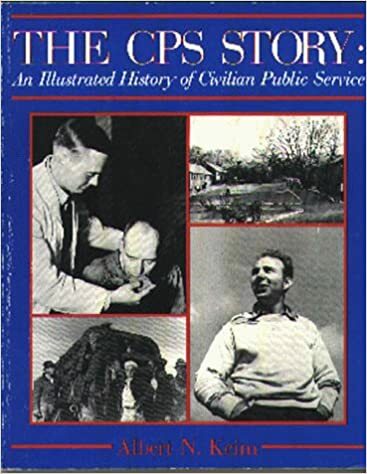 For more on conscientious objectors, see Al Keim’s The CPS Story: An Illustrated History of CPS. To find records of CPS workers and where they served, including my father, check here. My husband has asked if I wanted to see this film but feel reluctant because, like you, I cringe at blood and gore. Your post here has given me cause for pause. I come from a long line of conscientious objectors as per their Mennonite doctrine of nonresistance. It’s puzzling that they held Pres. Eisenhower in such high esteem, a decorated general. The myth of his Mennonite heritage excused his stance on war, I suppose. Timely post, Melodie. Your reflections move me; I’ve shared them to Facebook and will re-read them. I’m really appreciating the observations about no profanity in the midst of the gore and look forward to hearing the interview with your Dad. Lovely post, Melodie. The pictures are wonderful reminders of the real, personal lives of those who have gone before, and you details are excellent. I also want to again applaud you, the school girl-version of Sarah Hale who petitioned Lincoln about Thanksgiving. Yes! Well done. Thanks for popping over here, Marilyn. 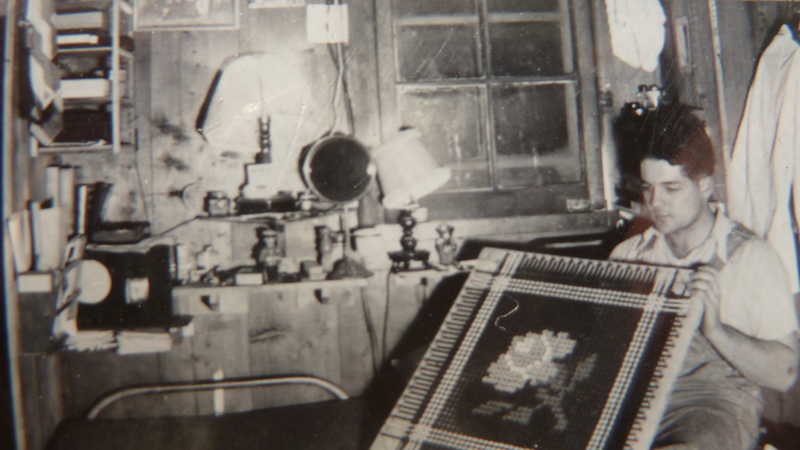 I just finished getting a DVD made of the old video of my father talking about his experiences as a conscientious objector, and what that led to later in life regarding some of the ways he tried to help others. I need to work on editing it a little to share online sometime, for my family if no one else! Blessings and I hope you had a good day. We were missing one part of our family but otherwise had a sweet day filled with love from two of our grandchildren in late afternoon and evening. We rarely go to see movies, and I’m especially suspicious of films that glorify war. I’ve read lots of great things about this movie, however, and now I’m tempted to see it. It’s very good to see Mr. Doss receiving the honor and recognition he deserves. It’s good for the public to see that there is a nonviolent way to be heroic in the face of war. Thanks for sharing this. Bill, thanks for checking out my blog and I enjoyed a few pages of yours and “seeing” your farm not so far away from us. I didn’t get the feeling that this movie glorified war in any sense. I did read later that the portrayal of Doss’s father as having full blown PTSD was fictionalized for the movie, but not unrealistic the way I understand the trauma of this aftermath. Another FB friends mentioned that the movie likely would never have been made if not for the suggestion of a Seventh Day Adventist pastor in Canada who brought it to the attention of producers.